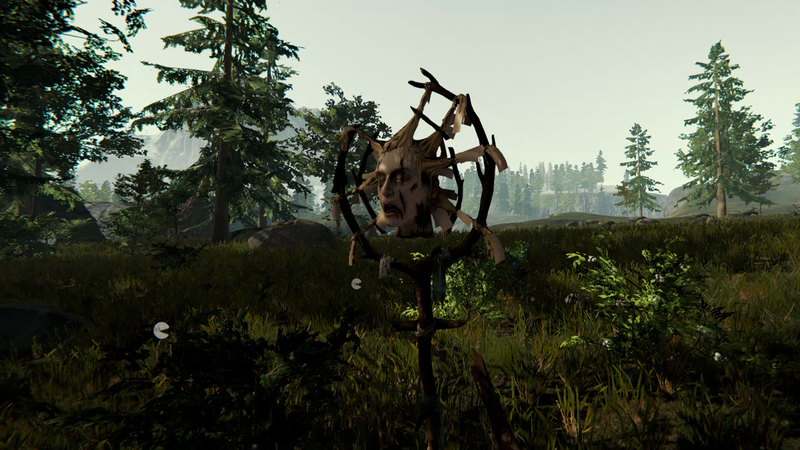 The Forest is a survival horror game in a very literal sense. It has all the survival elements you'd expect, such as gathering materials to construct your base and craft items, to managing various stats such as hunger, stamina, and even sanity. But, it's the horror aspect of The Forest that truly separates it from other games within the survival genre. You play the unluckiest survival expert and father in the world, as your plane crashes on a remote peninsula and your son is kidnapped by a mysterious red figure. If that's not bad enough, once you begin exploring your surroundings and searching for your son, you'll soon discover this place isn't so remote after all. You may hear a few twigs snap behind you, maybe you'll hear odd screeching in the middle of the night, or maybe you'll simply stumble into one of their camps. Either way, you'll soon be greeted by the mutant cannibal creatures that call this place home and who already made short work of your fellow plane passengers. It's then what you do from there that makes this game special.